Conveniently control 3 different lighting areas in your home or office with the Wireless Remote Control Light Bulb Socket. 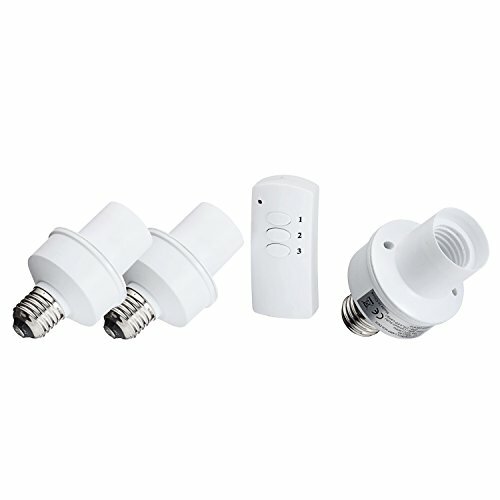 100% Brand new and high quality wireless remote control light bulb socket for E27 bulbs. Easy to install. Change your bulb with this light bulb socket and control your lighting system up to 30 meters (approximately 30 yards) remote control distance. You can control 3 lights with 1 remote.